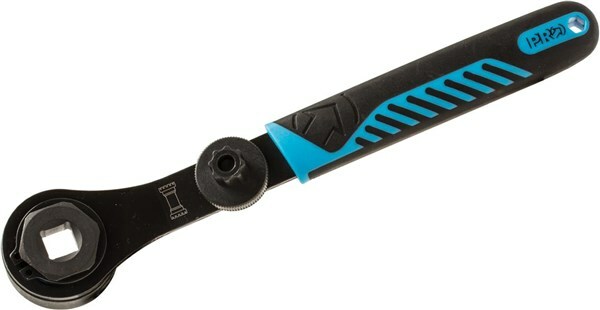 Ergonomic Integrated Shimano Hollowtech II bottom bracket tool. Rubberised handle for comfortable grip with 15 degree offset for ease of use. Closed head design with integrated pin for improved precision reducing the risk of slipping.